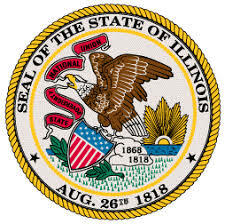 In an unexpected development, the Illinois State Senate approved on Wednesday a measure that would regulate both intrastate online poker and daily fantasy sports (DFS). The bill passed the full Senate by a wide margin, receiving 42 “yea” votes to just 10 “nays” and a single “present” (but not choosing) vote. The bill, House Bill No. 479 (HB 479), received a final, third reading yesterday after two amendments were added following a scheduled second Senate reading on Tuesday. Despite the lopsided and affirmative 42-10-1 vote, however, the measure faces significant hurdles on its way to becoming law. First, HB 479 must return to the Illinois’s state House, which reconvenes next week. In that matter alone, this bill faces a roughly similar track to online-poker legislation in New York State, where an online-poker legalization measure sailed through that state’s Senate in consecutive years but languished in the House. As elsewhere, HB 479 also faces competition from rival bills and interests, including at lest one measure that seeks to license DFS only while leaving online-poke consideration for another time. The DFS-only push traces to a 2015 opinion from Illinois Attorney General that DFS violates Illinois law. Readers might remember a highly similar situation in New York State including that state’s attorney general, Eric T. Schneiderman, and prominent DFS sites DraftKings and FanDuel. New York went on to formally legalize DFS, but in the process, online poker was shoved to the sideline. A similar situation could evolve in Illinois, though the state’s legislators generally don’t want to legalize DFS only, without a bone of some sort for the state’s existing casino and pari-mutuel venues. That part of HB 479’s current story corresponds well with the struggle facing such bills in other states. However, most other reports emerging today overlook another conplication: Illinois’ bitter and ongoing budget war between a Democratic-controlled legislature and Republican Governer Bruce Rauner. Into this budget mess even a successfully-passed HB 479 might fail. Rauner has been against most gambling-expansion measures in the past, and in 2015, Rauner stopped the distribution of video-gambling profits to municipalities that allow such machines in bars and private clubs. Illinois is one of many US states that allow such small-scale video-slots gaming, usually limited to five or fewer machines per location. Yet it’s another example of the Rauner blockade against anything budget-related; the infrastructure to supervise legalized DFS and online poker certainly falls within state budget parameters. 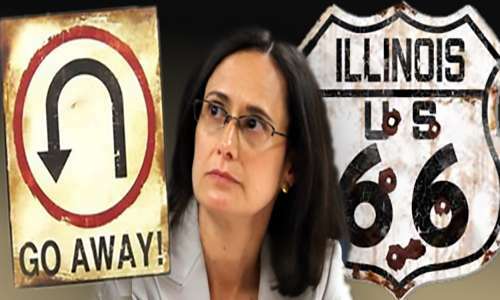 There’s also the matter of Rush Street Gaming, which has come out against online legalization in Illinois despite operating the online SugarHouse site in New Jersey. Rush Street operates Illinois’ newest casino, Rivers Casino, in Des Plaines, just a couple of stones’ throws from O’Hare International Airport. Take it all in, and HB 479 passing the Illinois Senate is great news. However, the road runs uphill from here, not down. The good news for online-gambling supporters is that Rauner’s popularity continues to wane, and he is likely than not to be voted out after a single term. That may be the change needed before Illinois formally approves DFS and online poker.